Business suits are recommended when calling on senior officials and local heads of business and also for semi-formal or formal functions. Exchange of business cards is usual. It is generally easy to gain access to offices of senior government officials, politicians and business executives. Civil servants are excluded from accepting gifts, except for diaries or calendars at Christmas. Monetary gifts or expensive presents are not encouraged in the private sector. Mon-Fri 0900-1700. Some establishments are open on Saturday mornings, but virtually nothing is open on Sundays aside from petrol stations, a number of smaller mom and pop stores and hotel shops. Note that liquor stores are open for limited hours, although this has changed recently. It is however possible to buy off sales from most bars. 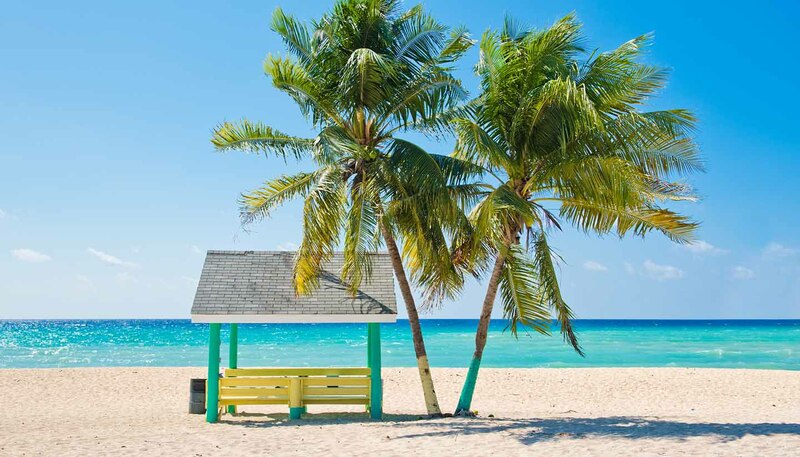 The Cayman Islands have no direct taxation and have become important as an offshore financial centre. Good communications and infrastructure have also helped the islands become the world's fifth-largest banking centre. A key agreement on information exchange signed with the US government has spared the Cayman Islands many of the problems (money laundering and large-scale tax avoidance) that have bedevilled other aspirant offshore financial centres. Cayman continues to sign similar agreements with other destinations. Tourism is the islands' other main source of revenue. There is little agriculture, and most food for the islands is imported. Staples such as breadfruit, beef, tomatoes, chillies, calaloo, mangoes (in season) and seasoning peppers are always available. Exports of rum cake, rum and some of the local beer (Caybrew) contribute to the economy. Construction is a growth industry and medical tourism is expected to grow into the third pillar for the economy. A Special Economic Zone – Cayman Enterprise City - has been initially established for technology, finance and education investments. It is currently situated in George Town but a bricks-and-mortar bespoke city in the Savannah area is planned. The Cayman Islands have associate membership of at the Caribbean Common Market (CARICOM). The standard of living on the islands is one of the highest in the world, and the per capita income is the highest in the region. The healthy state of the economy and the rapid development of tourism have attracted migrant workers from all over the world including Jamaica, Europe, the Philipines and North America. Financial services, turtle products, salt, rum products. USA, UK, Canada and Caribbean Community (CARICOM) countries. Land lines are in use on the island, and it's also possible to buy pre-paid phonecards to make calls. Roaming agreements exist with a few international mobile phone companies and coverage is surprisingly good on Grand Cayman – it may waver a little on Little Cayman and Cayman Brac. Buying sim cards from local vendors at the malls is relatively simple, and usually much cheaper than paying for international calls on your domestic tariff. There are many internet cafes throughout the Cayman Islands and most hotels also offer internet facilities; although this may be dial-up rather than a broadband connection. Wi-Fi access is also available in some hotels. The Cayman Net News and Caymanian Compass are published daily. Four TV stations are on the air in the Caymans, two of them run by religious organisations. Cayman 27 is a private TV station, whilst cable and satellite are also popular with the islanders. Private radio station Z99 and government-owned Radio Cayman, which operates two networks. It takes from 7 to 10 days for mail sent from the Cayman Islands to arrive in the UK via airmail. For mail sent to the US takes 5 to 8 days. Blue mail collection boxes are at key points around Grand Cayman. The main post office is on Edward Street and Cardinal Avenue in George Town. There are various branches across the islands, including at the West Shore Centre on West Bay Road. Stamps are available in most shops and hotels.